« 16.0 Now THAT’s a planet! This quilt has been resurrected with my new sewing machine setup in the kitchen. The white fishing cabinet is really only there to catch anything that may go wrong with what comes off of the machine. 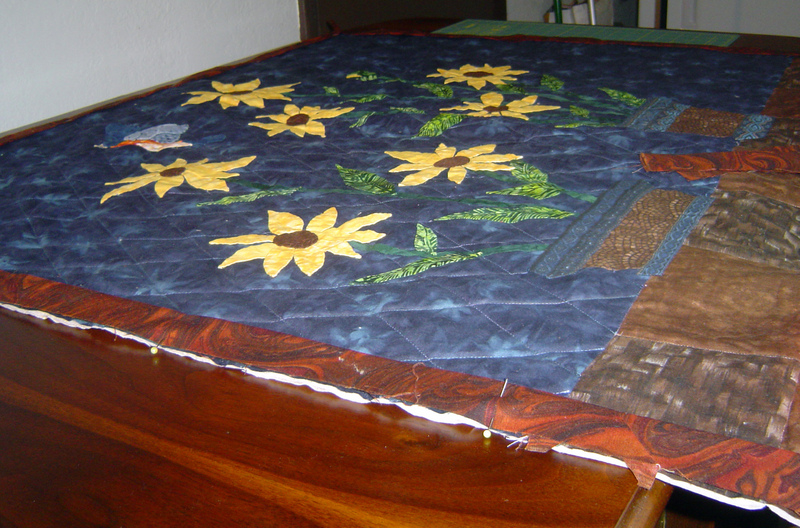 I didn’t find myself using it much though, most of the weight of the quilt stayed on the table. 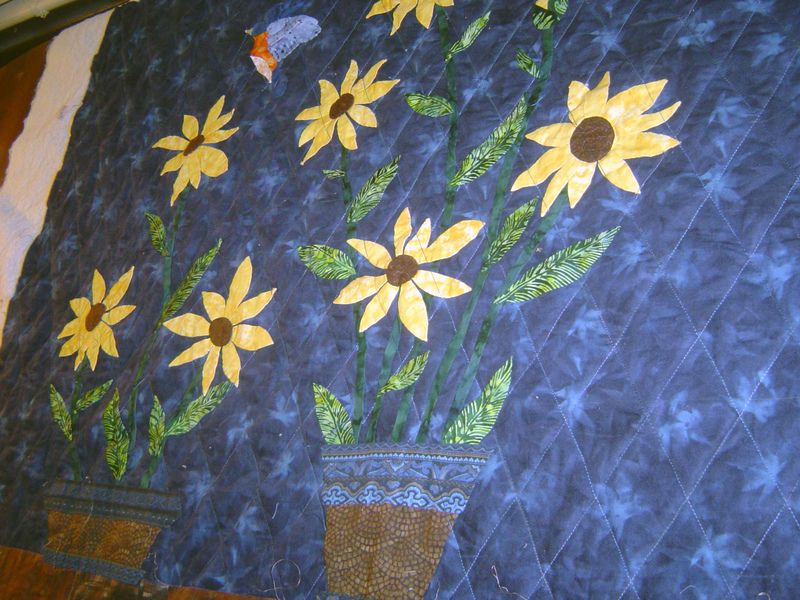 This was just after the lines were quilted and there are still threadies over the applique. 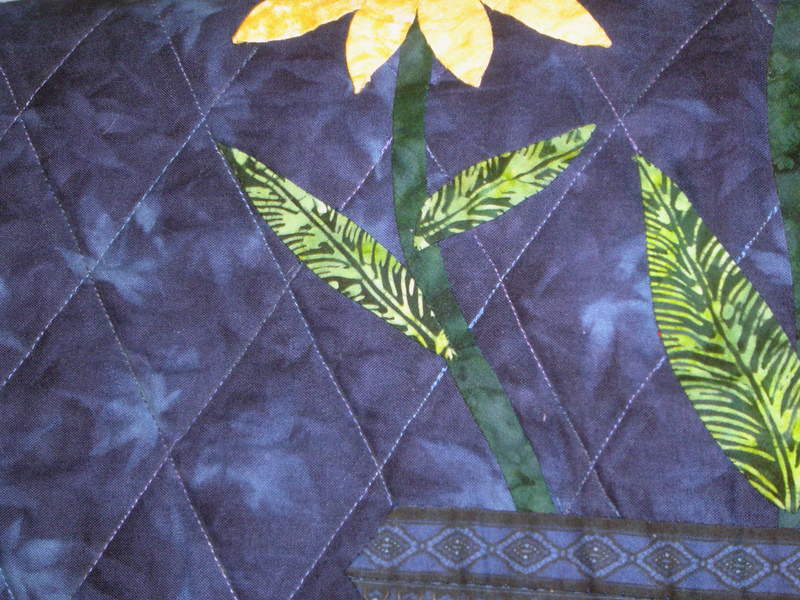 Here is a closeup of the quilting near a leaf. 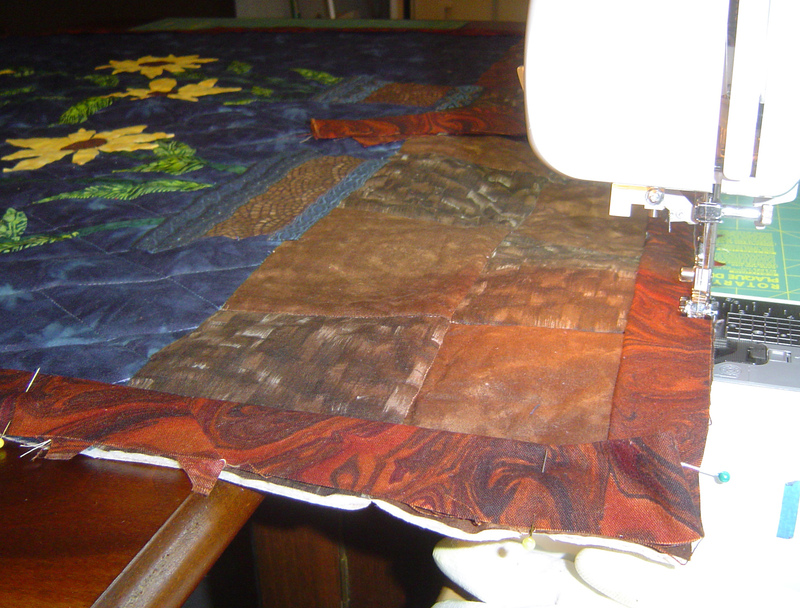 Here you can see when putting on the binding how easily the quilt slides from the sewing machine to the table. Hardly any ridge at all. And more of the rich binding goodness. Love the binding. Probably my best quilt to date. Darla, great quilt. Love those straight lines with those curvey flowers & leaves. Good job. This quilt is gorgeous, Darla! But I have thought that about all your quilts, so our taste in fabrics must be similar or something. And, look, my iPad didn’t “correct” your name this time! Great quilt, Darla. And the straight line quilting fits it perfectly. I can’t wait to see the finished product. The quilt is lovely. 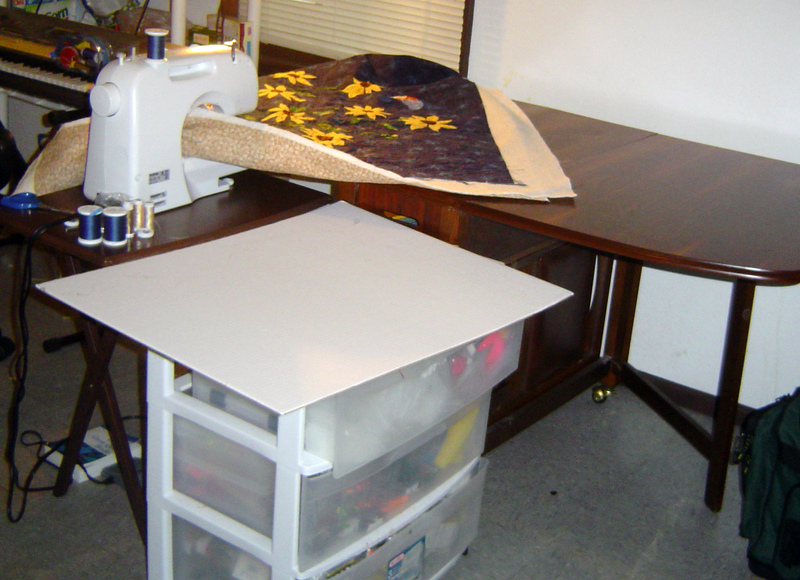 Did you mark your lines prior to quilting? Yes I did. put a ruler up at an angle then ruler every 2 inches I think. 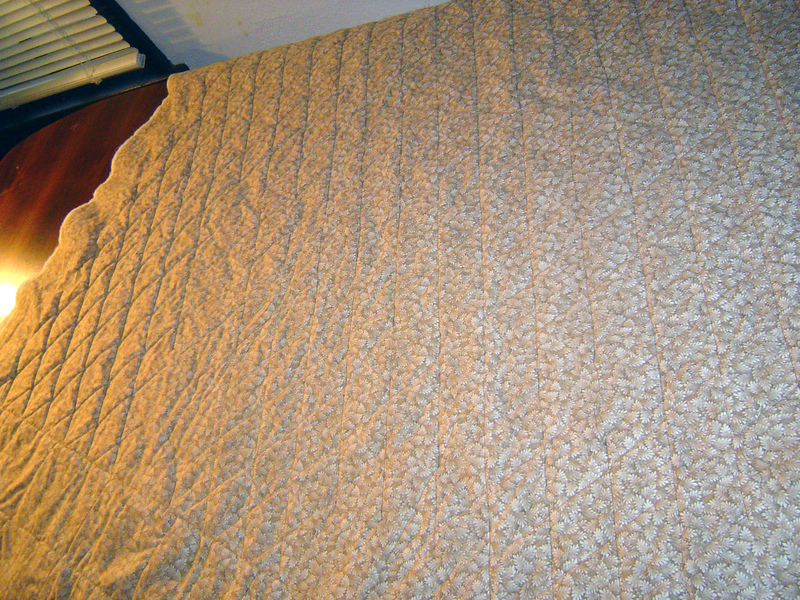 Chalk lines stayed on for several months before it was quilted.